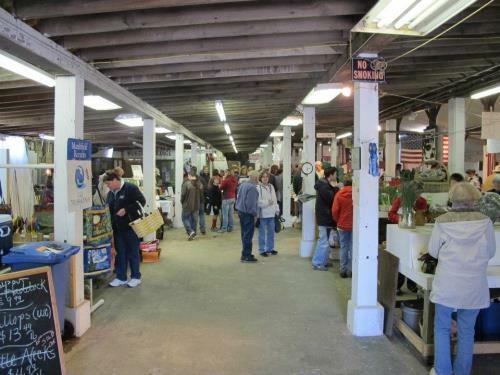 Details: On the 3rd Saturday of each month all winter long (Nov - May) Farmers' Market shoppers can find local produce, farm products, meats/cheeses, prepared foods, and select artisans/homegoods. There is a cafe area where you can sit and eat, listen to the live music, watch the kids play. Admission/parking is free, so is the kids' activity of the week. Grounds are stroller/wheelchair friendly, dogs permitted on a short leash. The atmosphere is wonderful, family oriented, a great place to meet your neighbor, relax and do something a little different for a Saturday. Grab a coffee and cinnamon roll, a breakfast sandwich, arepas, soup and more. Organic, Vegan, GF options available.